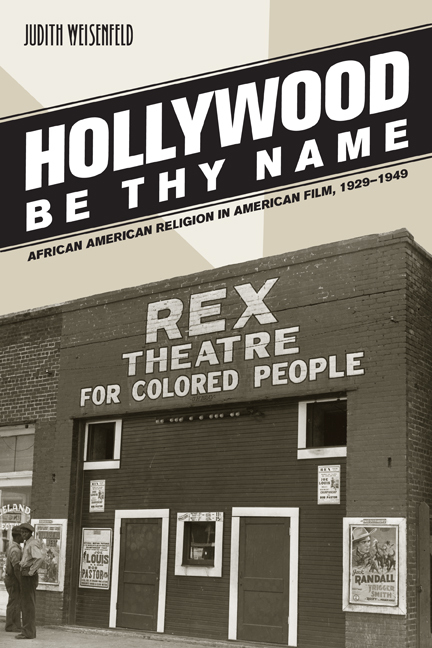 From the earliest years of sound film in America, Hollywood studios and independent producers of "race films" for black audiences created stories featuring African American religious practices. In the first book to examine how the movies constructed images of African American religion, Judith Weisenfeld explores these cinematic representations and how they reflected and contributed to complicated discourses about race, the social and moral requirements of American citizenship, and the very nature of American identity. Drawing on such textual sources as studio production files, censorship records, and discussions and debates about religion and film in the black press, as well as providing close readings of films, this richly illustrated and meticulously researched book brings religious studies and film history together in innovative ways. Judith Weisenfeld is Professor of Religion at Princeton University. She is the author of African American Women and Christian Activism: New York’s Black YWCA, 1905-1945 and the coeditor of This Far By Faith: Readings in African American Women’s Religious Biography.